It is a first for Rompa Group: we have had a mould designed that features no fewer than seventeen sliding elements. 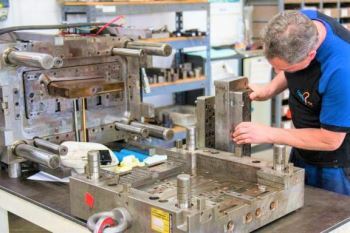 This type of construction is commonly used in the world of injection moulding, but seventeen of them in a single mould is quite unique. What are sliding elements in a mould for? Sometimes, it is impossible to open a mould once it has been filled with the cooled plastic, e.g. because of apertures in the plastic or because of the product’s complex shape. The product is “locked” inside the mould, as it were. 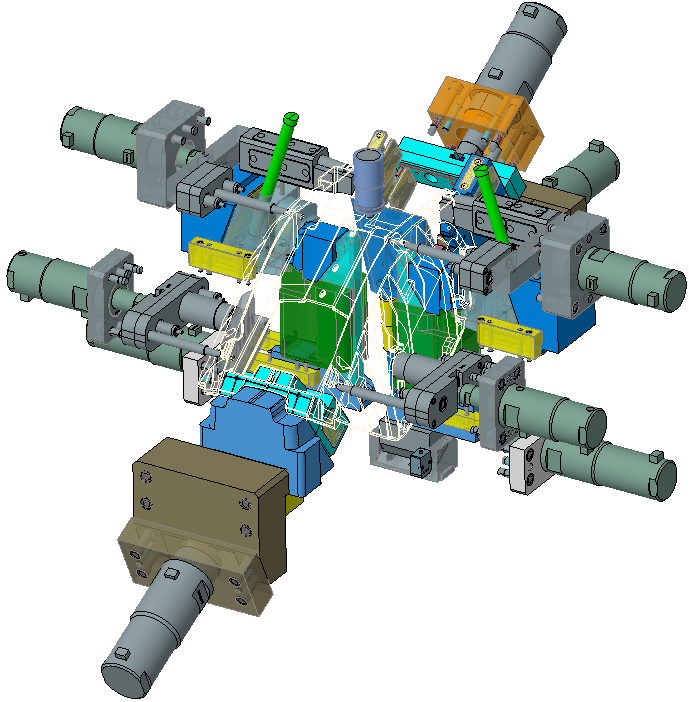 To get it out, the mould has to have one or more sliding elements. Undercuts are used in these locations. Due to cost considerations, a product is designed in such a way that few or no undercuts are needed. In some cases, however, a product is so complex that there is simply no other solution. This is one such case. The plastic shell for a child seat features seventeen undercuts. The shell is made out of polypropylene and weighs roughly 2.5 kilos. Our experts in the Netherlands, China and the Czech Republic all collaborated on the product design. During the design process, we evaluated the design’s manufacturability (DFM). This resulted in an advanced mould that includes both mechanical and hydraulic sliders and a number of angular pins. Some sliders feature an integrated cooling and one of the hydraulic sliders has a self-locking mechanism. The seventeen sliders open and close in the correct order, which allows us to realise a cycle time of around one minute. In total, the mould weighs approximately nine tons; six times as much as a Volkswagen Golf! 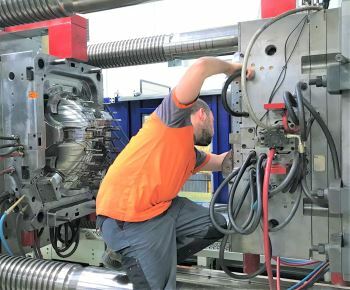 The mould is connected to a massive 1,200-ton injection moulding machine. Over the course of twelve weeks, the mould is produced by a specially selected toolmaker in China, exactly according to schedule. Rompa, the toolmaker and the customer collaborate closely on the mould’s development process. 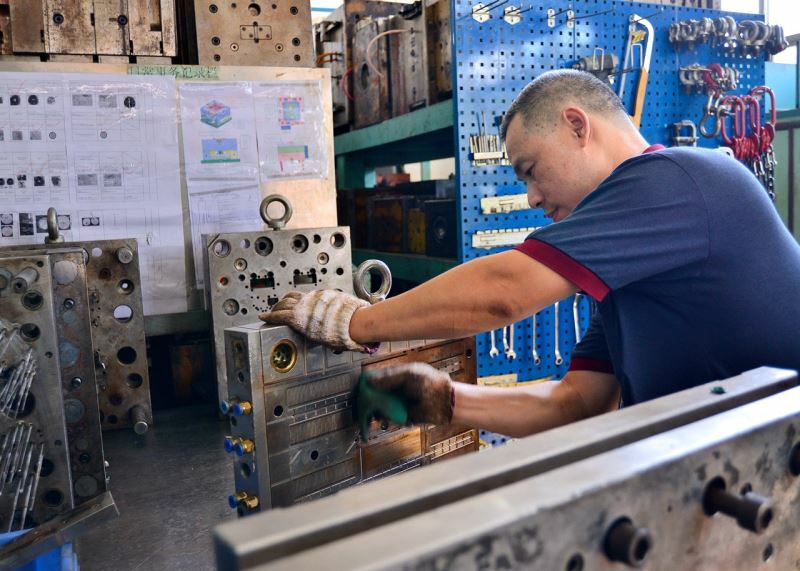 We support the toolmaker, with whom we have a long-term partnership. from our production site in China. After all, a good working relationship is essential in order to realise top-quality complex moulds on time. We did start using the new mould this summer – after conducting some extensive mould trials, of course. Rompa has its own advanced tool shop where we can maintain this kind of highly complex moulds.